You blog, I blog, everybody blogs and one of the names that stands out in the blog world is WordPress. 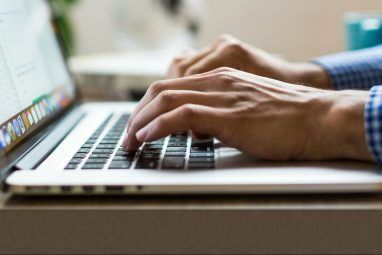 During the past several years, it has become the main choice for blogs all around the world – including the one that you are reading right now. The main reasons: it’s very good and very free – not to mention very expandable in functions and very flexible in looks if you use the self hosted WordPress. Well, you can’t love what you don’t know. 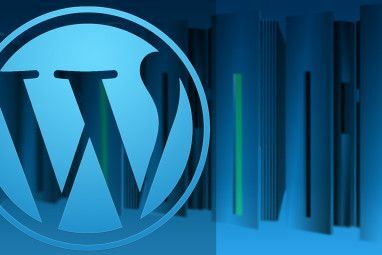 So, the first step is to get familiar with it and what better way to know more about WordPress than to install WordPress locally on your own computer? Be it a Windows, Mac or Linux PC. 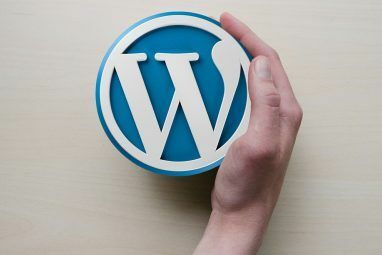 Plus, this is also the best way to check out plugins and themes before using them in the real live online blogging world (and start building your own WordPress themes and plugins – should you choose to go that far). I use a Mac so the steps below are explained using MAMP. But the steps are valid under any OS and so slight differences are to be expected. Open your AMP app and the server will automatically be on. The web interface will show up in your browser. Choose “phpMyAdmin” tab. Extract the zip file into the htdocs folder inside the AMP folder. It will automatically create a “wordpress” folder there. Go inside the WordPress folder, then find and open file wp-config-sample.php using any text editor. You’ll be asked to put in a blog name and an email address. Click “˜Install WordPress’ after filling in those boxes. WordPress will generate a username (admin) and a random password for you. Please keep the password safe until you have the chance to change it later. Click ‘Log In’ to continue. Fill in the username and password and click ‘Log In’ one more time. Congratulations, you’ve just built your own local WordPress blog to experiment with. But there’s still one more crucial step to take: changing the randomly generated password to something you can remember easily. Find the two password fields down at the bottom of the page, fill in the empty boxes with your preferred password. That’s it! Why not start experimenting with your WordPress blog and see how you like it. If you have any problems, leave a comment and we’ll see if we can help. Explore more about: Blogging, Web Server, Webmaster Tools, Wordpress. When I put in http://localhost:8888/wordpress/wp-admin/install.php it gave me an error saying 'error establishing a database connection'. I had to change the input to http://localhost/wordpress/wp-admin/install.php and and leave the DB_PASSWORD blank, instead of having it be 'root'. Is it ok that I did that, and would that cause any issues in the future or with security? Thank you Jeffry for the advice, appears Godaddy.com servers don't make it a 5 min install after all. I had to set up a DB on my server but as of yet, stiull struggling. Working on it. - use "localhost/" instead of "localhost:8888/"
- consult the local server's (XAMPP, MAMP, etc.) documentation on where the local address is. Each might have a slightly different address. Basically, you want to open the "install.php" file inside "wp-admin" folder. You just have to find out where it is. I hope this answer would help. itâ€™s very good and very free not to mention very expandable in functions and very flexible in looks if you use the self hosted WordPress. Hi there , I am still getting the error described by the guys above. What wrong am I doing while installing ?? Please help. itâ€™s very good and very free â€“ not to mention very expandable in functions and very flexible in looks if you use the self hosted WordPress. I'm Looking to buy Entertainment Centers or Wall Units For a new apartment complex I've invested in. Can you peoplegive me a good recommendation of where is the top place to buy these? I live in New York and I heard that the big thing about these Entertainment Centers is the cost of shipping and installation. Hi reply please I have got error when accessing the http://localhost:80/wordpress/wp-admin/install.php. What might be the reason? The tutorial is very clear, thanks for making it. Have installed the wmap and also unzipped wordpress to htdocs folder, but it is not going to the page link specified. The problem is as it is.... what can be the problem? Firefox can't establish a connection to the server at localhost:8888. This is the error message I am getting, after installing and trying out both XAMPP and WAMP individually. Can anyone help me understand what is wrong with my ports? No matter what I do, it doesn't seem to work. I have a relatively modern dual-core, decent Acer notebook...my wifi connection is working fine; internet works fine. I am no computer expert, but I have certainly done nothing to interfere with ports. I checked with both Windows Firewall active AND disabled, and neither is any more productive than the other. I followed each step to the letter, then opened http://localhost:8888/wordpress/wp-admin/install.php in both Firefox and Internet Explorer, and neither functions; IE gives me a similar message as the one above. Apache and MySql are both active and open on what seem to be working ports, according to XAMPP. Can anyone tell me what I am doing wrong, or simply what is wrong with my PC maybe, to begin with? Please help if you are familiar with these symptoms only, and thank you in advance! I'm running WAMPSERVER2 on a PC. Easy peasy WP setup (and loads of other apps) try Bitnami no need to set up a wamp (available for Linux, Windows, and Mac OS X) - apart from a couple of downloads its all built in. It's still scary, but I learned heaps. Thanks! Can I post this article to my blog with a link to your blog? Great tutorial for the uneducated. I'm not sure why you'd go to all that hassle. You can get hosting for a few bucks, and with Cpanel and Plesk you can install WP with a few clicks of a button. ever had your host server crash? Reinstall the databases? I've always wanted to host my own anyways. for people who are squeamish about setting up a webserver, uniformserver.com is a great alternative.